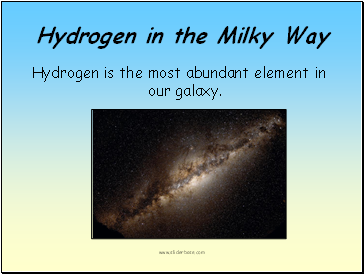 Hydrogen is the most abundant element in our galaxy. 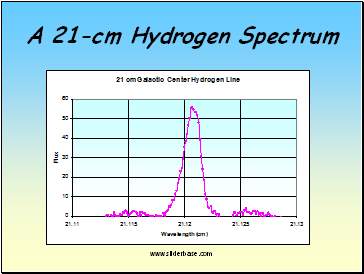 The resulting dark line spectrum identifies hydrogen. 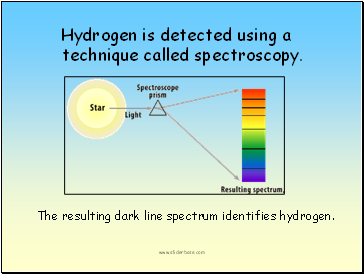 Hydrogen is detected using a technique called spectroscopy. 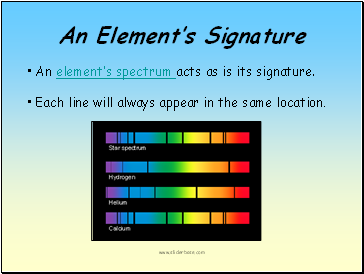 An element’s spectrum acts as is its signature. Each line will always appear in the same location. 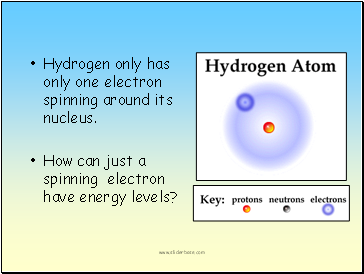 Hydrogen only has only one electron spinning around its nucleus. 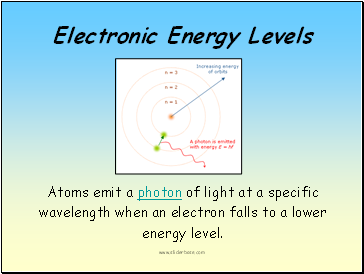 How can just a spinning electron have energy levels? 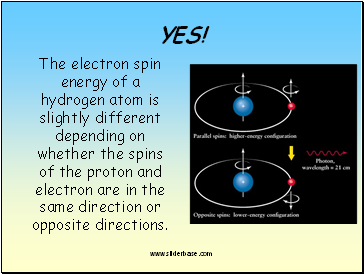 The electron spin energy of a hydrogen atom is slightly different depending on whether the spins of the proton and electron are in the same direction or opposite directions. 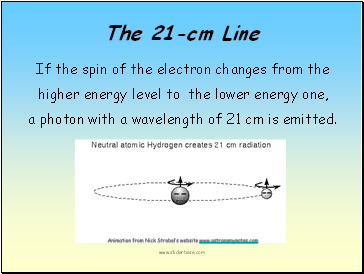 a photon with a wavelength of 21 cm is emitted. Spectral lines can tell us whether the source is stationary or moving. 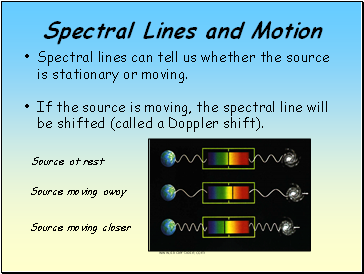 If the source is moving, the spectral line will be shifted (called a Doppler shift). 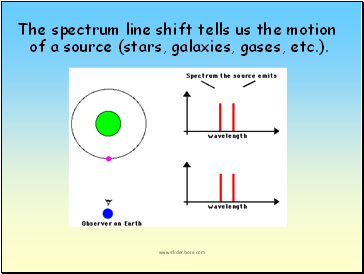 The spectrum line shift tells us the motion of a source (stars, galaxies, gases, etc.). 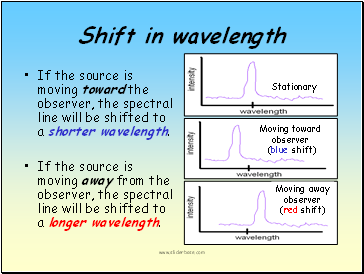 If the source is moving toward the observer, the spectral line will be shifted to a shorter wavelength.